This special stamp set, Spare Me, will melt your heart just like it does mine! It's time for a new sketch! Hope you'll play along with us! Viola...feast your eyes on this fabulously versatile sketch, love the scrappy layers! 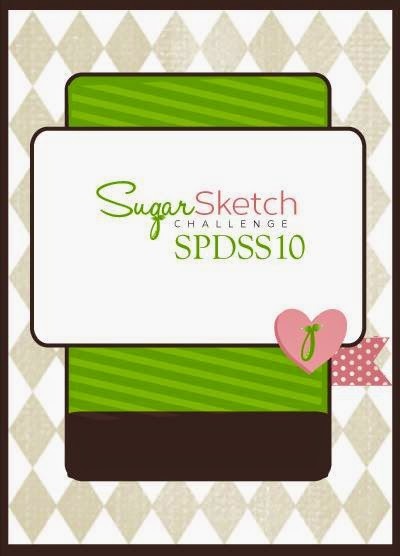 Here's how you can play along with the SugarSketch! 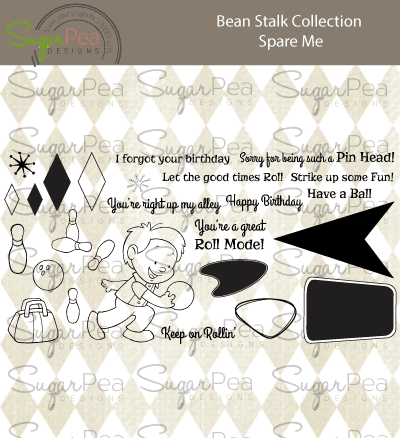 Play along with any stamp you like - but if you use SugarPea Designs, we'll top your voucher up to $15! Feel free to rotate/flip the sketch, or exchange any shapes for what works with your design, just make sure the sketch is recognisable! 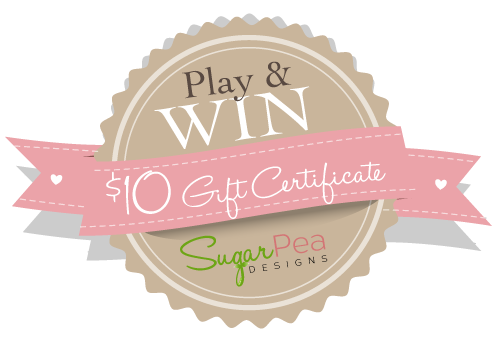 Add your link to the linkup on the SugarPea Blog. You'll find our current challenges on the sidebar. I adore this set, Spare Me, from the Bean Stalk Collection! The sentiment I used is exactly what my mom used to say and sing to me when I was a wee one...so this set is dear to my heart! I used the detail images from the set...the bowling pins and bowling ball, stamped with a couple of fun sentiments, and added some shiny Pretty Pink Posh sequins. The Pretty Pink Posh Stitched Film Strip Die was the perfect frame and Bo Bunny Our Lil' Monster papers made the cut for this belated masculine-themed birthday card! 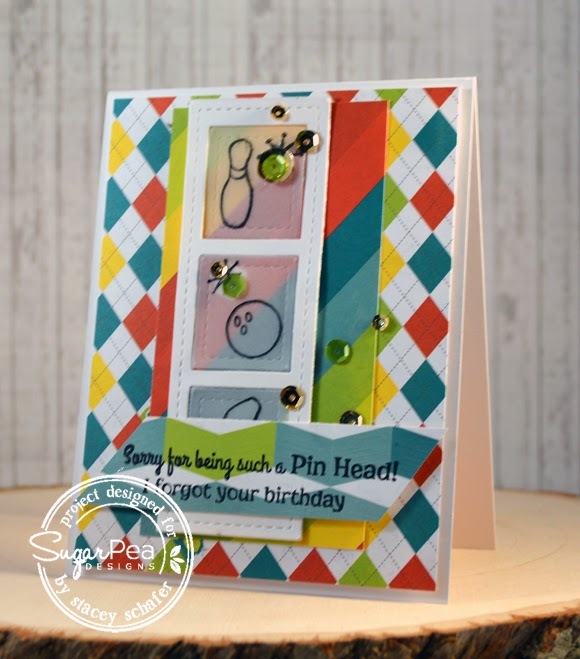 Fun card and a fun sentiment!! So cool Stacey. Fun use of the papers and die.